I love this time of year when so many favourite flowers are in bloom and the air is filled with their heady scents. Although I love all plants I have always been drawn to those that have a particular function. The first thing I did once I got my own tiny patch of garden was to plant herbs, and I have kept that up ever since. From cooking, to scenting to health and wellbeing, herbs have it all. Another function I enjoy in plants is their symbolism and meaning. A few years ago this led me to do some research on nosegays. 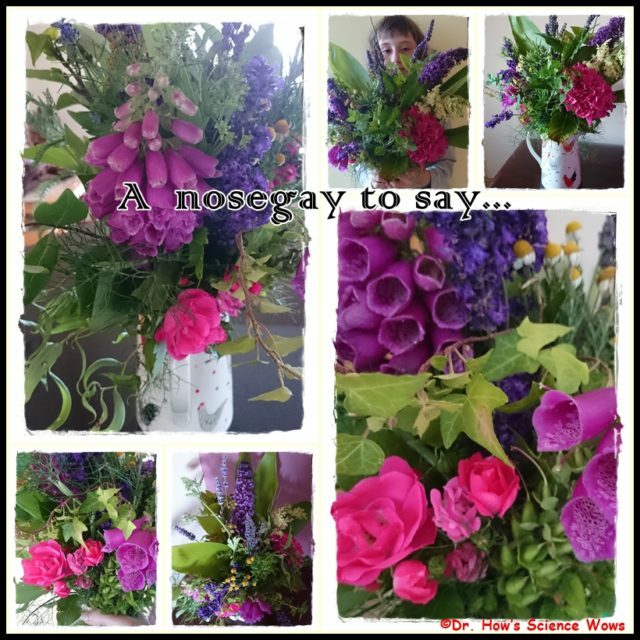 A nosegay is a posy of aromatic herbs and flowers that dates back to the sixteenth century. Originally these were a necessity for ladies, carrying them through the streets to disguise all unpleasant smells and protecting from plague and disease. Although they were created for aromatic and disinfectant purpose they soon became fashionable for a very different reason… the symbolic meaning of each plant contained within the nosegay. Suddenly a functional bouquet can become a personal and charming gift. 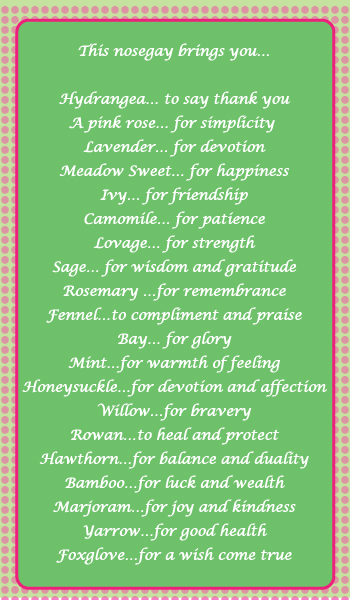 I have made many nosegays for friends and family over the years, often picking a theme and including the appropriate plants… maybe a gift for a friend who has been ill, containing herbs symbolising protection, health and a speedy recovery; or an array for the arrival of a new baby… containing wishes and virtues to bestow upon the infant. Today I was drawn into the garden once more, the scents of herbs and flowers were just bursting into the Summer air. 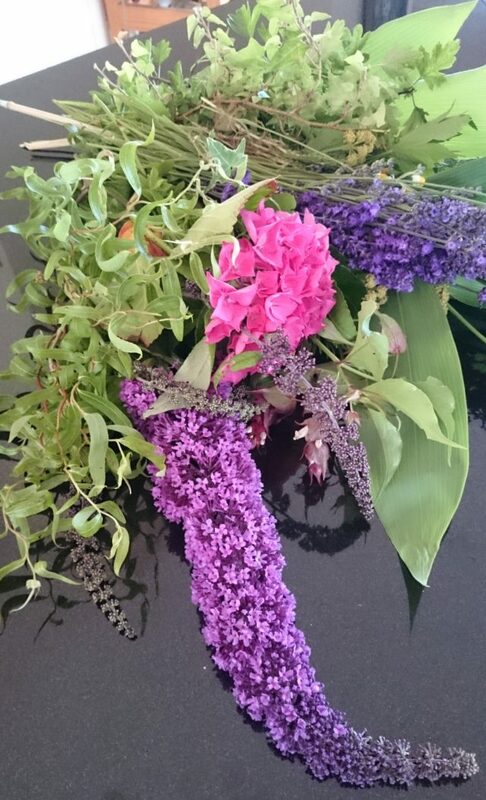 So I gathered so many favourites, like a child in a sweet shop, unable to show restraint… I chose every plant I could think of, and I have compiled them into a very big bouquet as a virtual gift for all you lovely readers. Thanks for sharing your nosegay with us!!! Fascinating, I had never heard the word before and I absolutely love the meanings behind all the flowers, I’d say I might have known three in all. I might even print that out, I think it would look good in the kitchen. I’ve never heard of “nose gay”, love the meaning and completely love this post! I just love knowing the meaning behind all my favourite plants Elizabeth 🙂 How sweet of your husband!